First Sasaki Food Time Shirt Giveaway Contest starts in 2 days!!! That's right the first ever shirt giveaway contest starts on my Facebook Fan Page on May 1st! send in your pic eating at your favorite place and the pic with the most likes by the end of the month gets a shirt from me! Here's is the link to the page, submit your photo and while you are there - like it as well please! Oh and here is an example of what kind of photo you can submit! 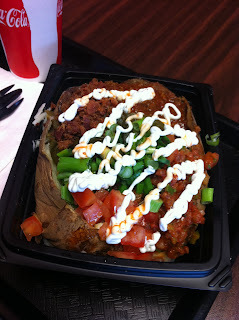 Checked out The Hot Spud in Fullerton with my buddy Brian. My friend Lauren sent me the site and as soon as I checked it out., I knew I had to go there! You may not be familiar with the Turkish street food Kumpir, but its a baked potato mixed with butter, cheese, and your choice of toppings. There are over 20 toppings to choose from. 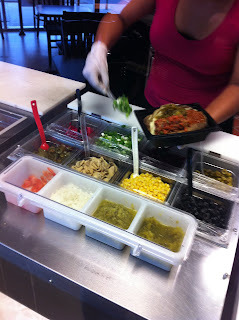 They also serve hot dogs and offer the same topping treatment. 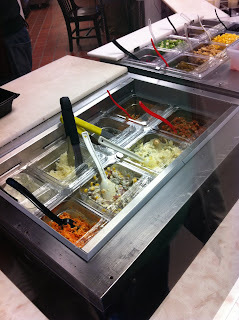 There are salads and liege waffles as well. As soon as we walked in we were greeted by the owner who asked us if it was our first time in and we said YES! He took us through the process and all of our options. 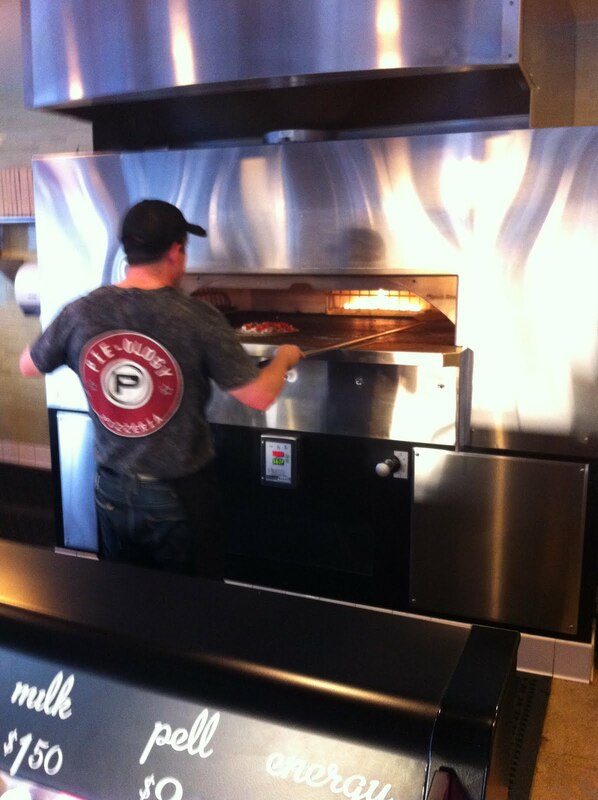 The personal touch was fantastic and really told me that he cared about his food and of course his customers! I decided to go with the potato. The potato is massive! They cut it down the middle and stuff it with butter and mozzarella cheese. It all gets mixed together like gooey mashed potatoes! I was already in love! Next you get to pick your main topping which can be chili, hot dog bites, chicken or bbq beans. I, of course went with the chili! Next it was time to add the salad/dip. There are eight different options. I went with the salsa option! Now it was time to add the vegetables! I added jalapenos, green onions, bacon bits, tomatoes, and sour cream! The potato was just perfect and the flavors all went great together! The chili is perfect with just the right amount of kick. The salsa was fresh. Bacon makes everything even better. I can't wait to come back and try another potato! I then went and got a waffle for dessert! Once again you can add a ton of toppings on your waffle as well! I added biscoff spread which is like a gingerbread type spread. I found out that you can't get this in any store in California but The Hot Spud does sell it if you ask but they sell quite a bit. I actually have to go back to get a jar! Just means I need to go back again! I also added pecans, vanilla ice cream and whipped cream! The waffle was hearty like a flapjack! 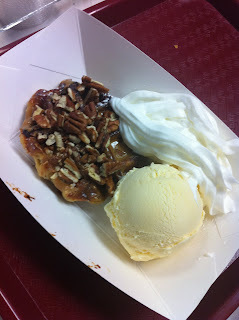 The biscoff spread and the pecans went perfectly on top of the waffle! So, great service and great food make The Hot Spud a great place to go! I'll be back with more friends and of course with my friend Lauren who suggested it! Sasaki Food Time tshirt Giveaway Contest!!! Starting May 1st!!! The first of hopefully many Sasaki Food Time merchandise contests is starting May 1st! All you need to do is submit a photo of yourself eating at your favorite place and explain why you deserve a Sasaki Food Time tshirt to my Sasaki Food Time Facebook Fan Page! I will create a Contest photo album and the photo with the most likes will win a tshirt from my CafePress store! It's just that simple! But there are a few rules! The photos and explanations need to meet Disney-type standards so no photos in poor taste, no use of offensive language, you get the idea. Any photo or explanation failing to follow these rules will be eliminated! So, get out there take a creative photo of yourself and write a creative explanation why you deserve a Sasaki Food Time tshirt! and if you don't win this time - there will be more contests in the future! The photo should be of yourself at your favorite place to eat and the description should say why you deserve a shirt! Leading Sasaki Food Time into the Future - focus, contest news, celebrity videos! Hello everyone! Just wanted to thank all of you for your support over the last several months! Without you - Sasaki Food Time would not be the fun food blog site that it is! So, here is some exciting news to take Sasaki Food time into the future! 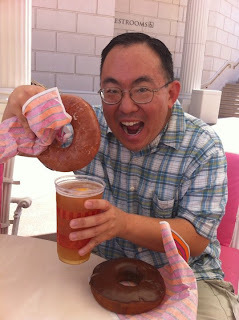 First - I am going to bring focus to the food blog by focusing on Orange County. Now this doesn't mean that from time to time there will be reviews from places outside the Orange County area but the focus will be the OC! I want to make Sasaki Food Time one of the top food blogs to look up places to eat in Orange County! Second - I am going to begin contests to reward you for bringing people to follow me on Twitter, the FaceBook fan page and of course here at the actual blog site! I hope to start either the first of May or June! Contests will run for a month unless otherwise noted and you will win great Sasaki Food Time merchandise! Third - the reviews and video reviews will remain but there will be a new video category featuring celebrities! Well at first those that are celebrities to me! I'll be going with them to their favorite places to eat in the OC! Look for those videos to start rolling out over the next several months! Hope you are excited for these new offerings as much as I am! Lauren got a #3 which came with bbq sauce, chicken, mozzarella, gorgonzola, red onion and cilantro. I ordered a #2 which was pepperoni, sausage, meatball, mozzarella, and their red sauce. I also added red onion and fresh tomatoes to my pie. The finished masterpiece before it goes into the fire! And here it goes into the fire! And how fast did my pizza get cooked? Well, by the time I paid for my food and got my drink, it was time to pick up my pizza! Here is my pizza ready to eat! This pizza was really great! 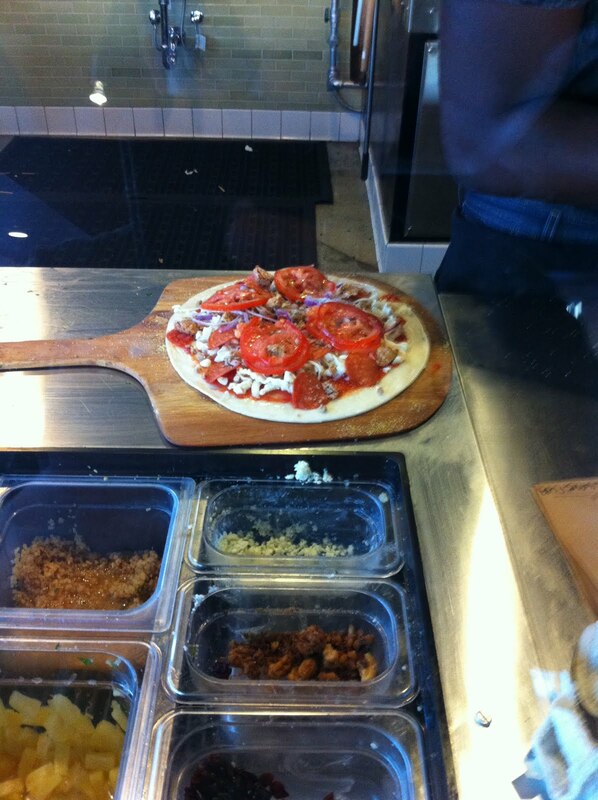 Lots of great flavor and I'm not a thin crust fan but I will be back again and again. 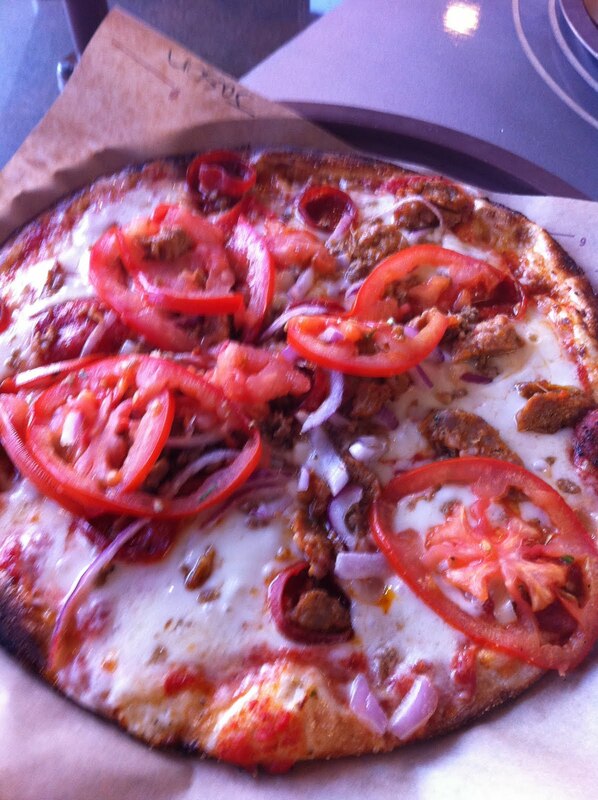 Lauren was kind enough to trade a slice of her pizza for a slice of mine and her bbq chicken pizza was just as amazing! A nice sweet bbq sauce made it perfect! I honestly couldn't decide which one I liked more! We both can't wait to come back again! First, let me start off by saying that I have never and i mean never been a fan of mac n cheese. So, when I heard about this place and one of my frequent dining friends said she wanted to go, I was hesitant to say the very least. 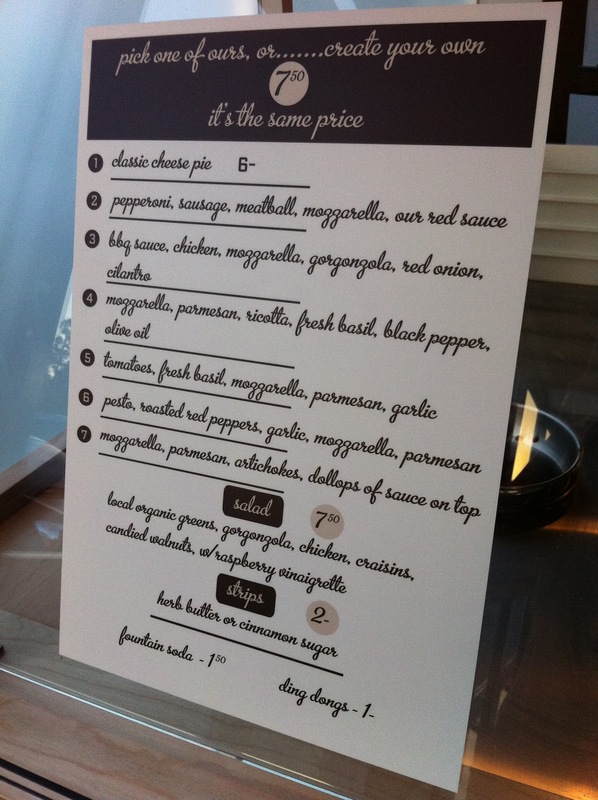 I took one look at the menu and saw something that I actually really wanted to try. 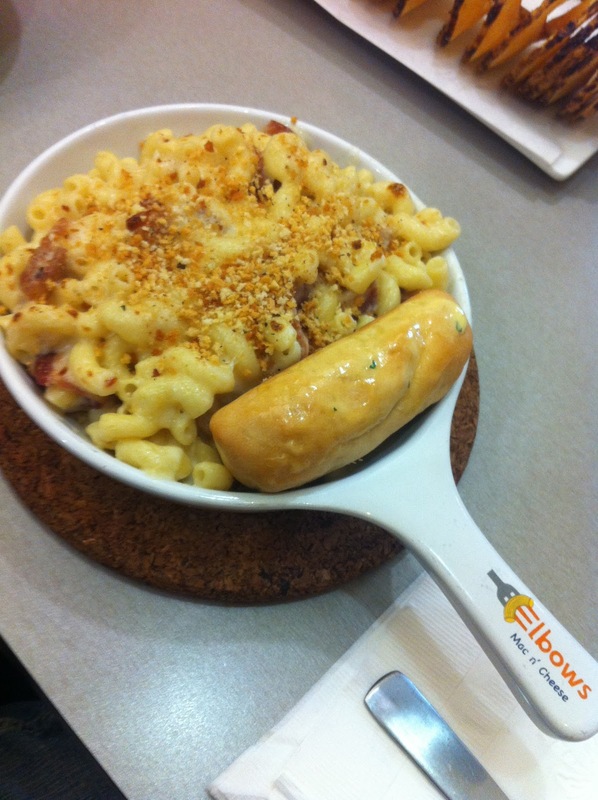 The item was the Swiss Mac, a blend of swiss cheese and applewood smoked bacon! The Swiss Mac was perfect! Now I know what I have been missing all of these years! 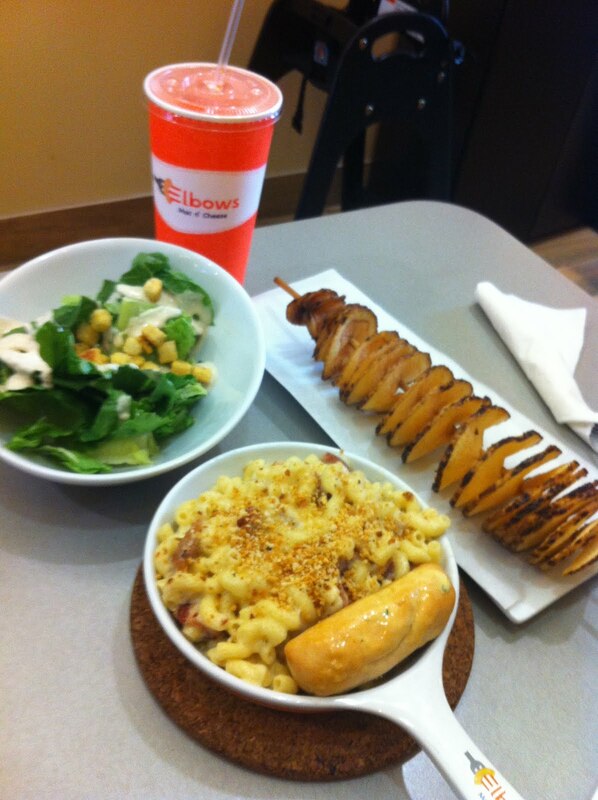 The perfectly cooked mac with swiss cheese and bacon in every bite was just perfect! I will be back to elbows time and time again! This is all that I ordered. My Swiss Mac, a caesar salad and a chipstix. The chipstix is really great, it's a potato that has been cut in one long piece and skewered. It is then deep fried into a potato chip and then salted. So good! Click on the link below to check out the website and the menu! Hi all! I have been thinking of starting a tshirt of the month for my Cafe Press store or a limited time tshirt. The plan is to start the first one next month. I wish I could show you the designs but I want to keep them a surprise for now. A few of you have seen the designs and the feedback has been overwhelming! So as of right now look forward to the first limited offer tshirt next month! For a hint the design combines two of my favorite things - Sasaki Food Time and Disney! That's right I have two seats on the OC Wine Trolley for May 6th. I'm really excited to go! I have heard nothing but great things. It's available every Friday evening from 6pm to 830pm. The trolley takes you through the Orange Circle. You sample food and wine from several different restaurants in the area while learning about the unique history of the area. I'll be posting more info and of course a full review of the trip! Oh and the entire month of April is already booked! The Easter Logo is up! Check out the latest logo design of Little Oishi by Jerrod Maruyama! It's April and Easter so what's better than Little Oishi as a bunny! Enjoy! As always thank you Jerrod for the amazing artwork!